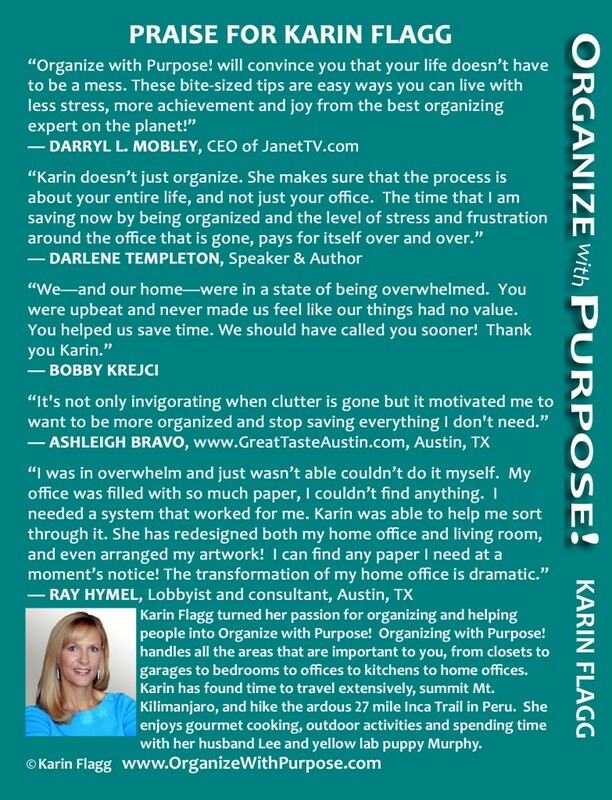 OWP Archives | Organize With Purpose!Organize With Purpose! It’s my birthday and I’m celebrating with the launch of my new book! The book’s name is…wait for it… “Organize With Purpose!” In this handy little book I layout my best 139 solutions for life’s organizing challenges. I give great tips for organizing your Home (and away) Office, Business & Technology, Office Set-Up, Productivity, Goals, Time Management, On the Go, Holiday Decorating, Got Children?, Precious Artwork, Storage and Cleaning, Kitchen, Closets and Email. Celebrate with me and get the book now!